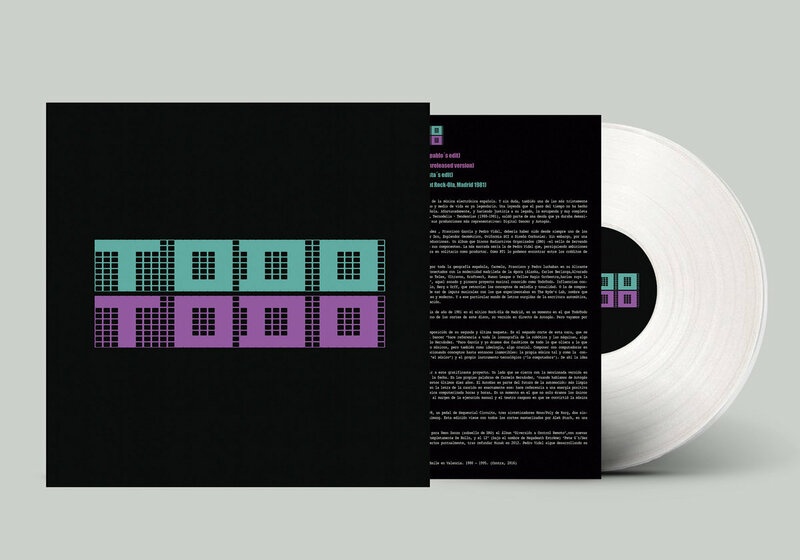 Pressed on clear vinyl and high quality thick paper sleeve. 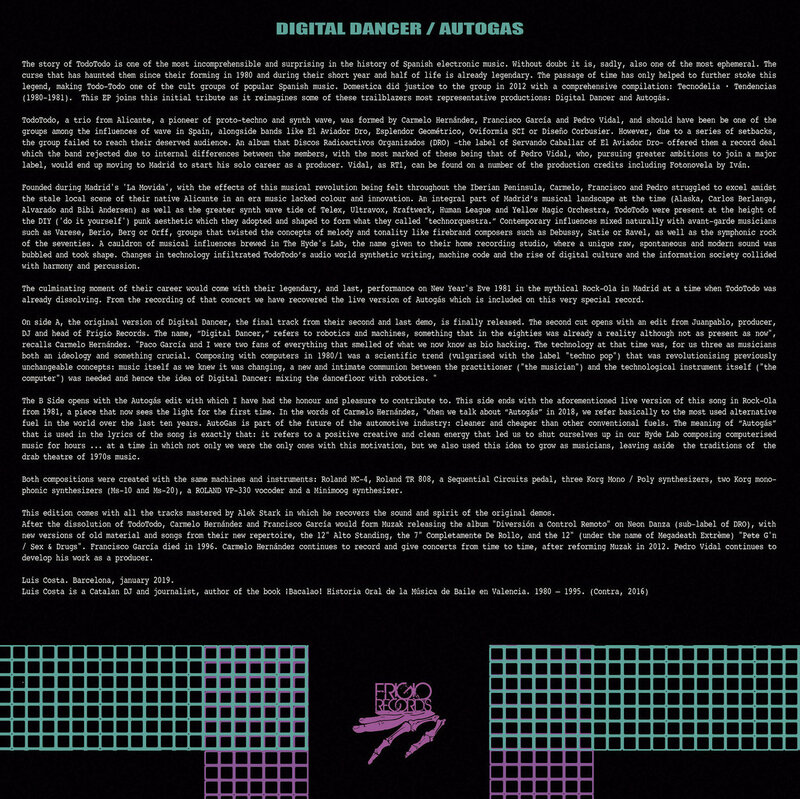 Comes with printed inner sleeve which includes a special text written by Luis Costa about this pioneer proto-techno Spanish band that was active for a very short period of time 1980 - 1981. 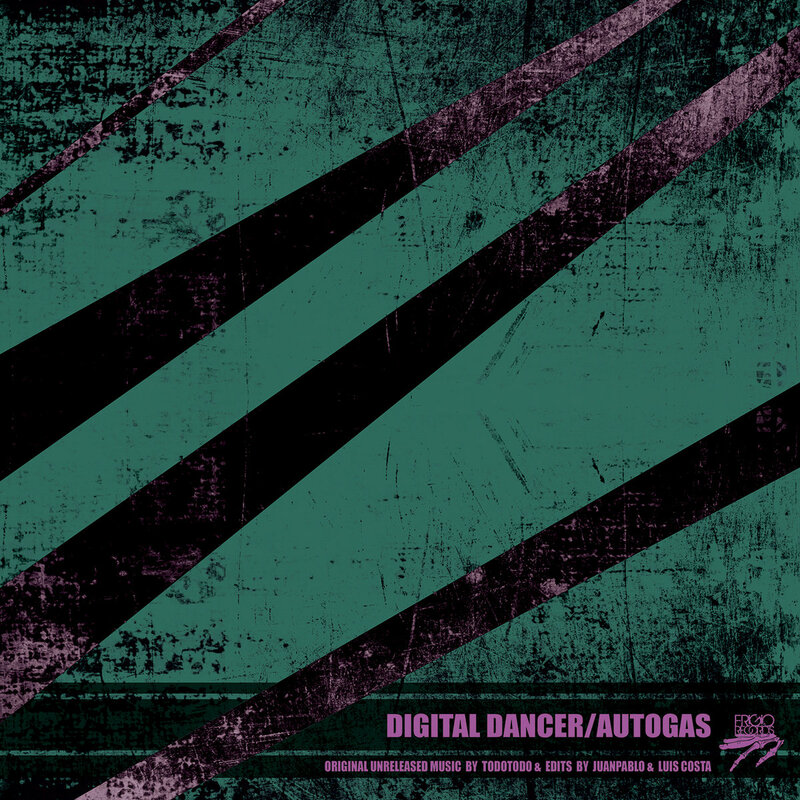 Includes unlimited streaming of Digital Dancer/Autogas (original music and edits by Juanpablo & Luis Costa) via the free Bandcamp app, plus high-quality download in MP3, FLAC and more. 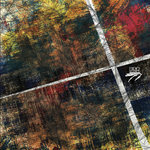 Get all 25 Frigio Records releases available on Bandcamp and save 50%. 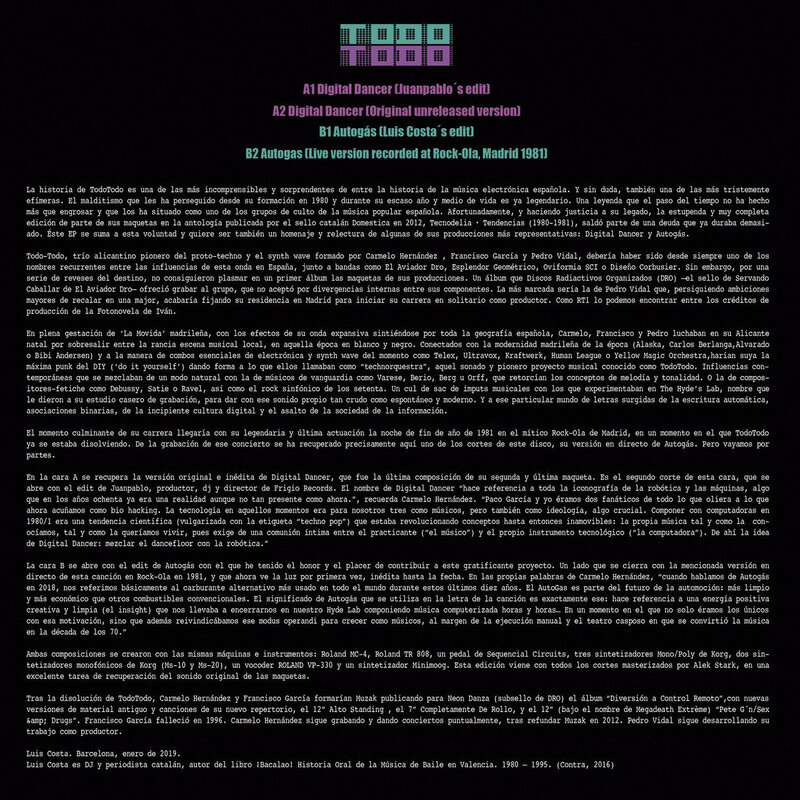 Includes unlimited streaming via the free Bandcamp app, plus high-quality downloads of Digital Dancer/Autogas (original music and edits by Juanpablo & Luis Costa), Johnny 320 (Juanpablo & Hesperius Draco remixes) FRV027, The Last Hour Ep (Charles Manier rmx) FRV026, Playtime Ep (Heinrich Dressel & Juanpablo remixes) FRV025, Dusk Ep (ft Esplendor Geometrico rmx) - FRV024, Gliptolito (FRV021), Transform (June & Cute Heels remixes) FRV020), The Hideout (FRV017), and 17 more. , and , . TodoTodo had a short existence. Two years to be exact with the three man group having been active from 1980 till1981. Despite their ephemeral life, the band produced cutting edge wave that pushed the boundaries of their own machines and their audience’s expectations. 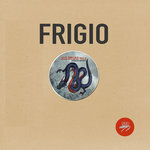 Almost forty years later Frigio is bringing some of their music to a fresh audience. 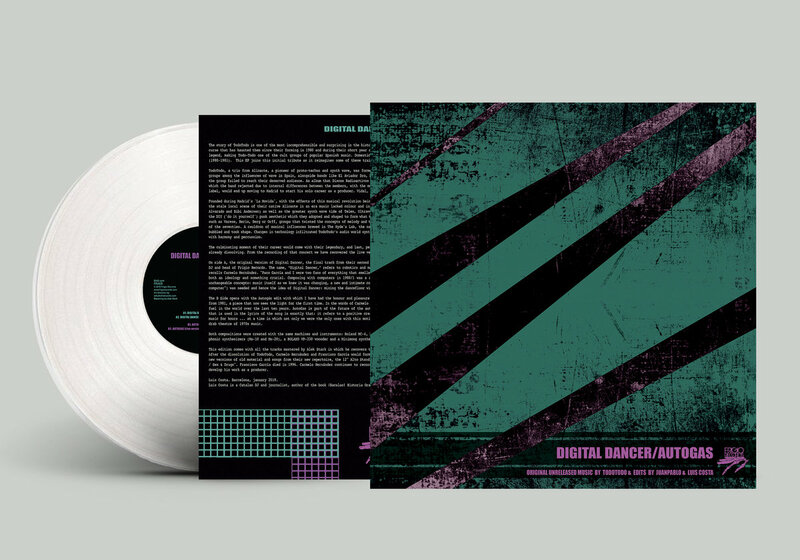 Juanpablo with his extended edit of “Digital Dancer.” A steady kick tethers a tripping mechanical melody, a melody that bubbles and simmers as toms, horns and daring funk collide for this seven minute odyssey into the world of Iberian underground synth. 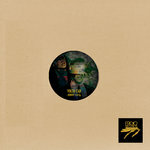 The original version from 81 closes the A, a brief and brilliant piece of proto-techno. The flip is introduced by Catalan Dj, journalist and author of ¡Bacalao! Historia Oral de la Música de Baile en Valencia, Luis Costa. 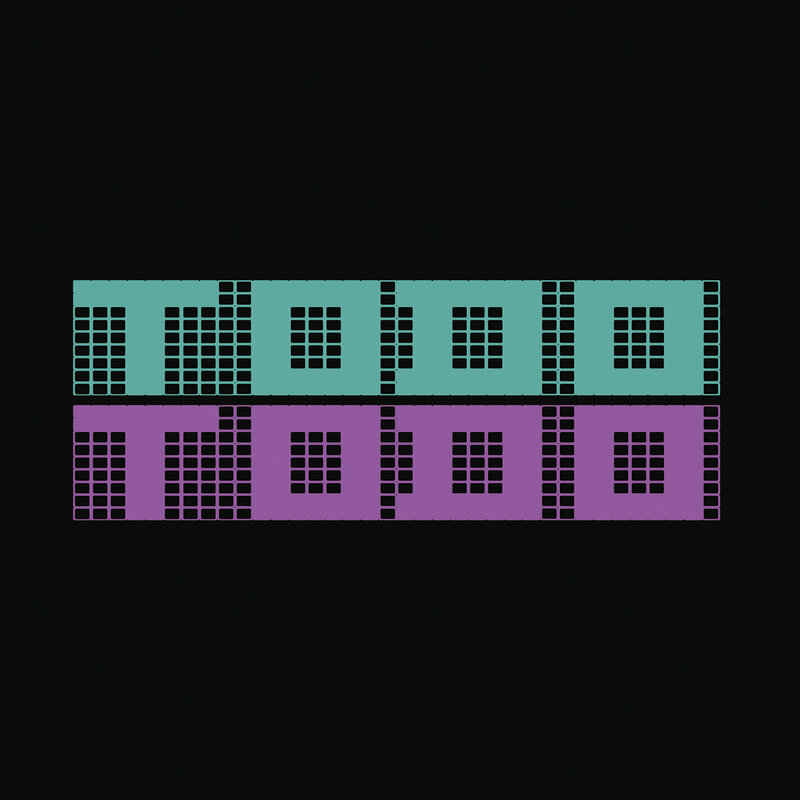 Costa re-imagines “Autogas” with his Tool Edit, reshaping the off-kilter keys and future highways and byways of the original. The finale is a true treasure from the annals of time. A live version of “Autogas” from the legendary Rock’Ola club in Madrid, an unreleased work that is as audacious and bold as it was when it was first performed in 1981.